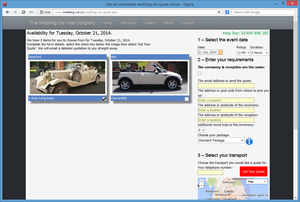 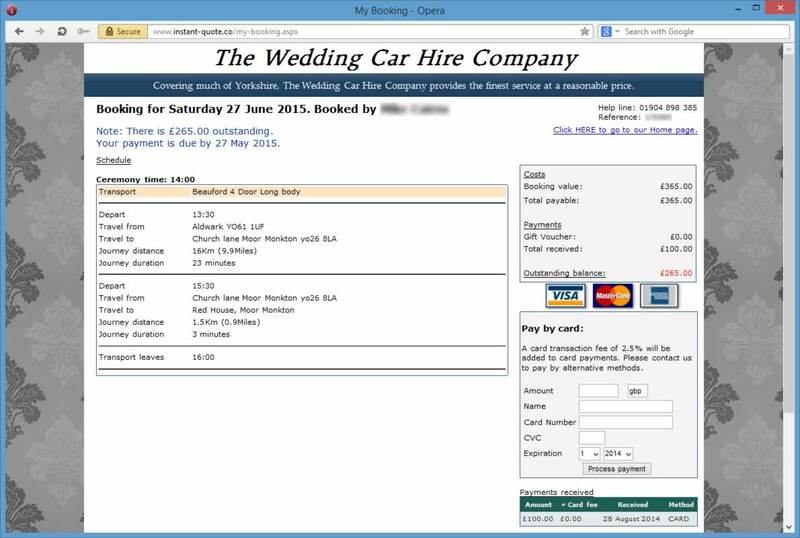 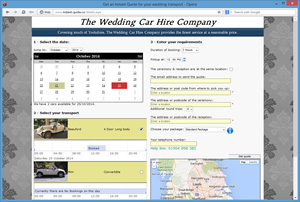 Instant-Quote.co is built from the ground up for the wedding transport industry using the first hand experience of running a Wedding Car Company. 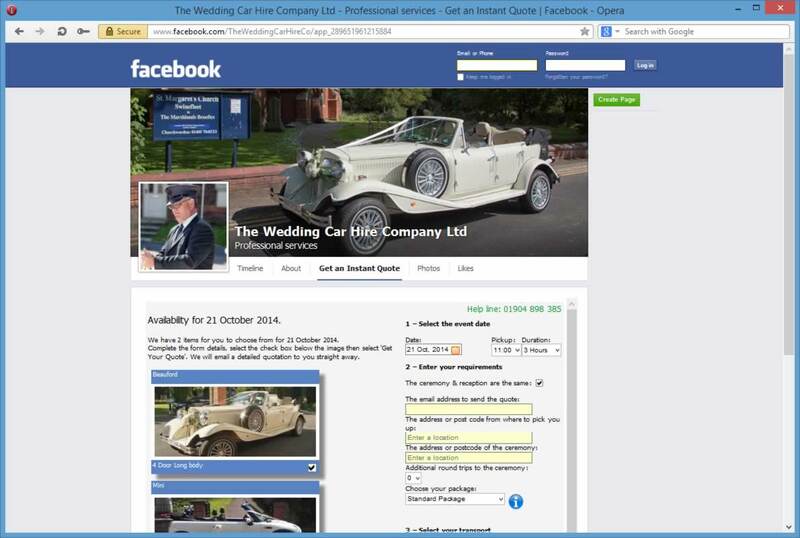 The area with the white background is embedded in your web page on your site enabling customers to get a quotation without leaving your site. 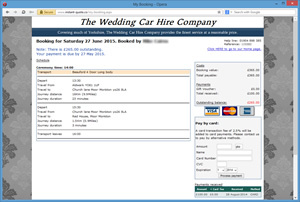 The standard quotation page (where embedding is not required or is supplemented). 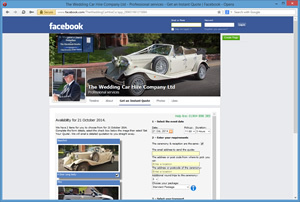 The quotation application can be embedded in your Facebook page. 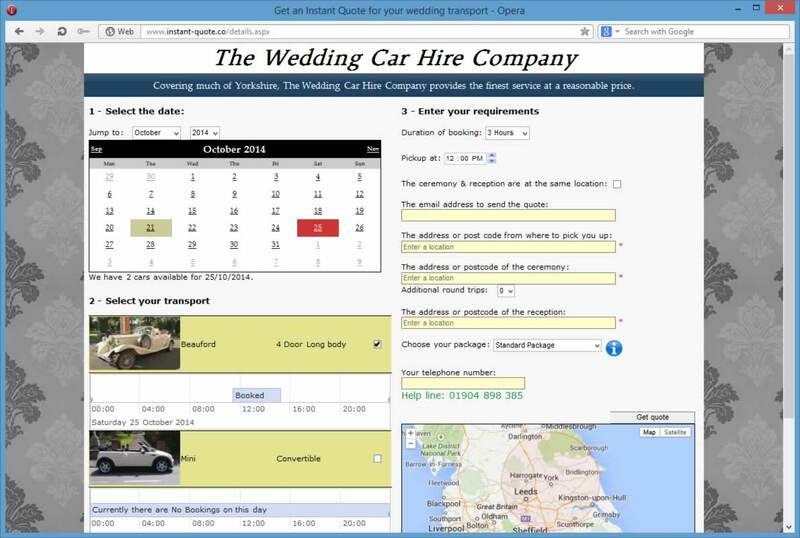 Every one of your customers gets a My Booking Page. 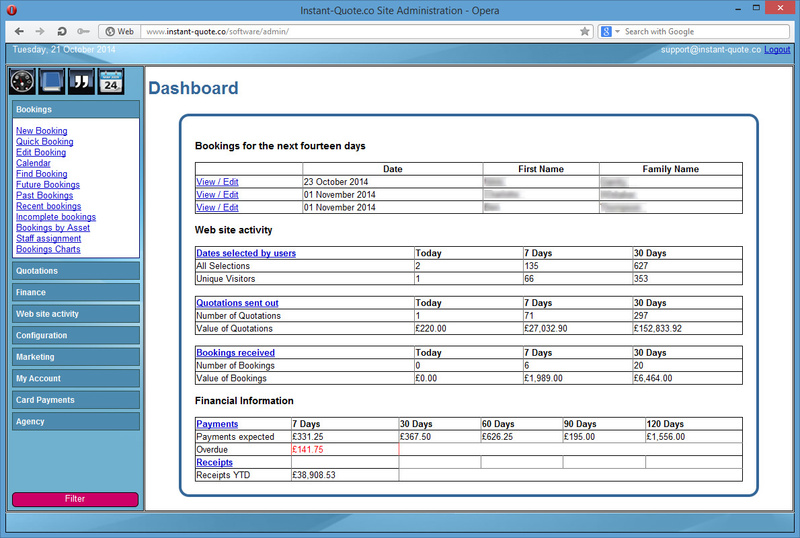 If you choose to take cards they are processed here by the customer (or by yourself in the Admin pages). 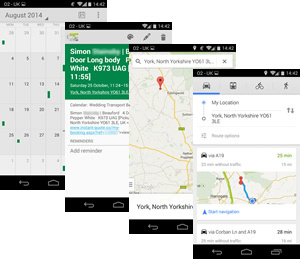 By integrating with a shared Google Calendar you can load Satellite Navigation on your phone before leaving the depot. 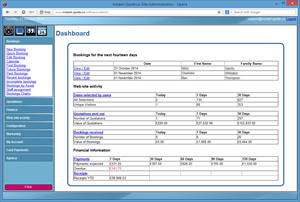 The Dashboard gives you an immediate overview of the key paramters of your business. The calendar is shown here in Month view with an item selected. 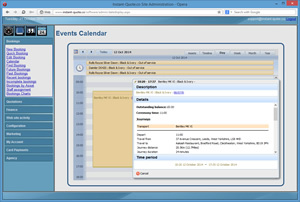 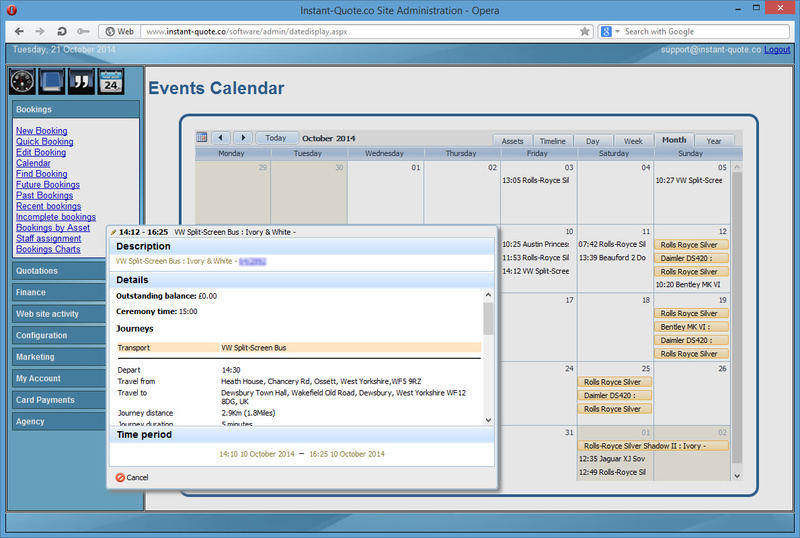 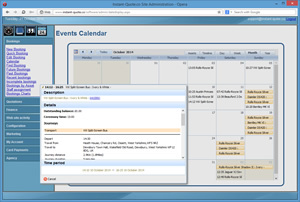 The calendar is shown here in Day view with an item selected. 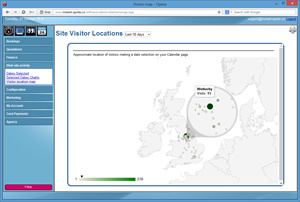 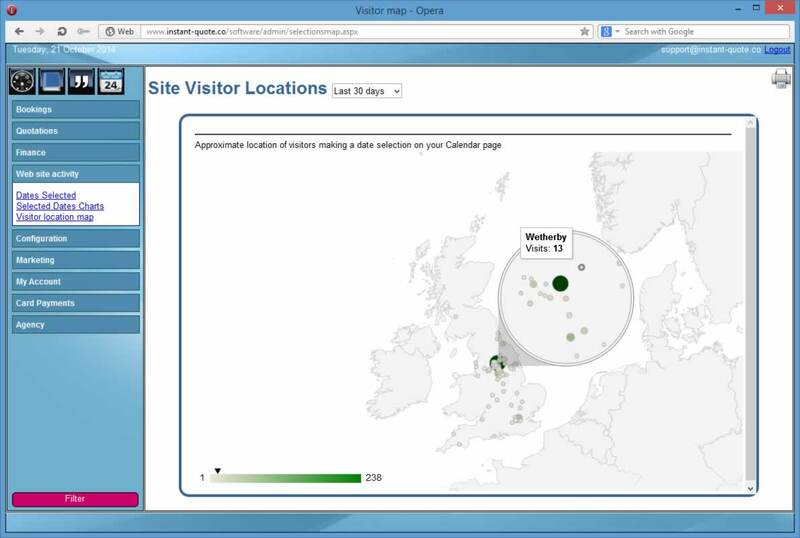 The visitor location page shows you where people that use your site are located. 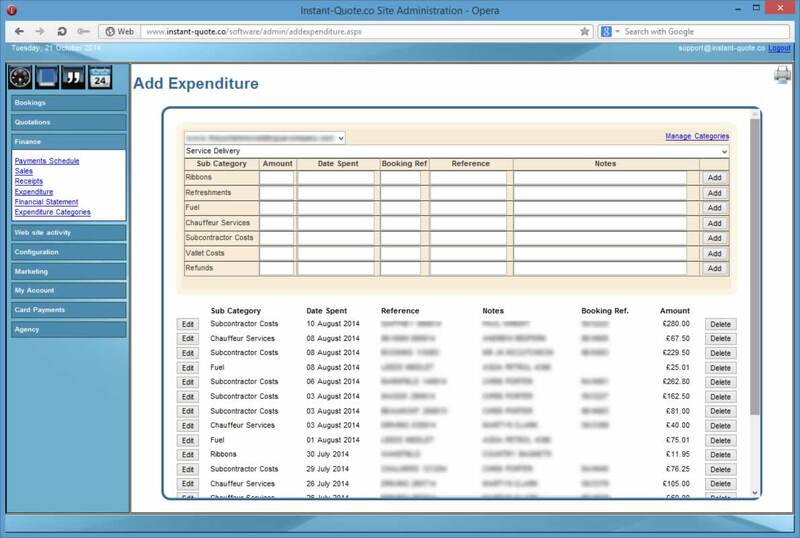 You can track expenditure with customisable fields and export the data to excel. 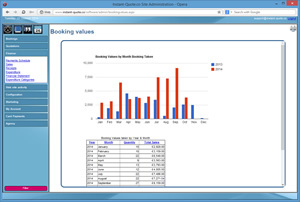 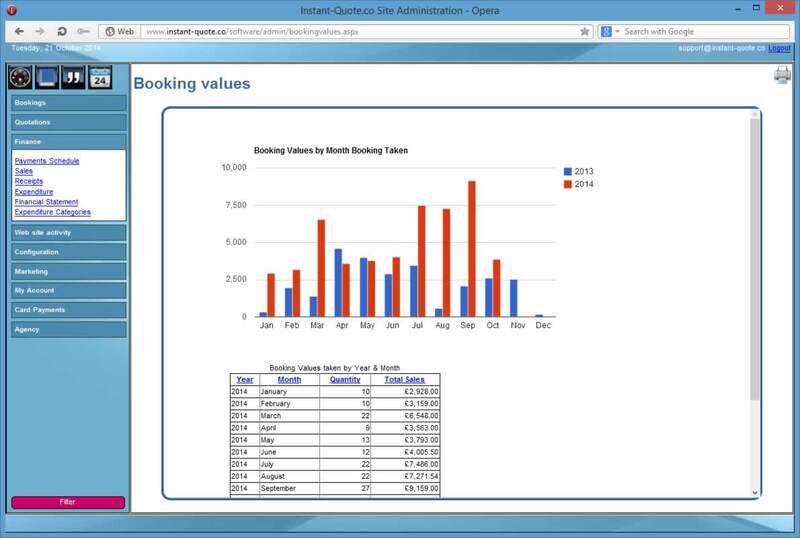 Several charts are available for Booking, Quotation and Visitor statistics.